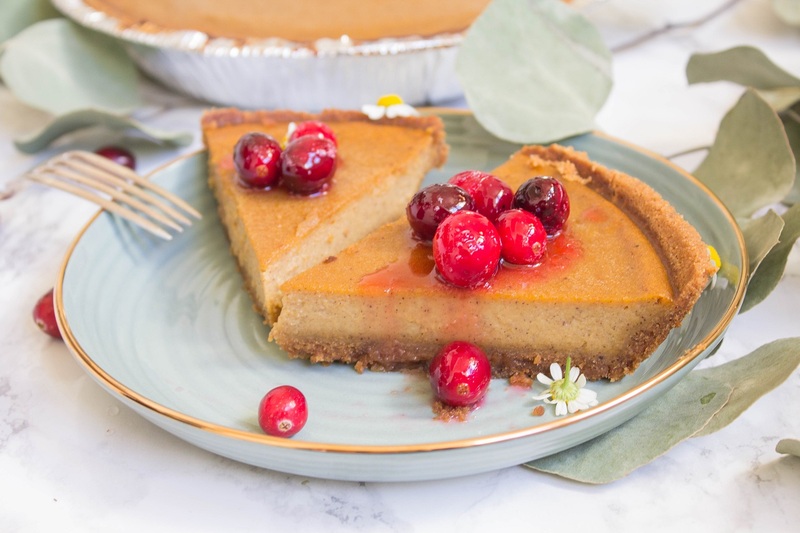 Rich and custard-like butternut squash pie baked in a gluten free graham cracker crust. 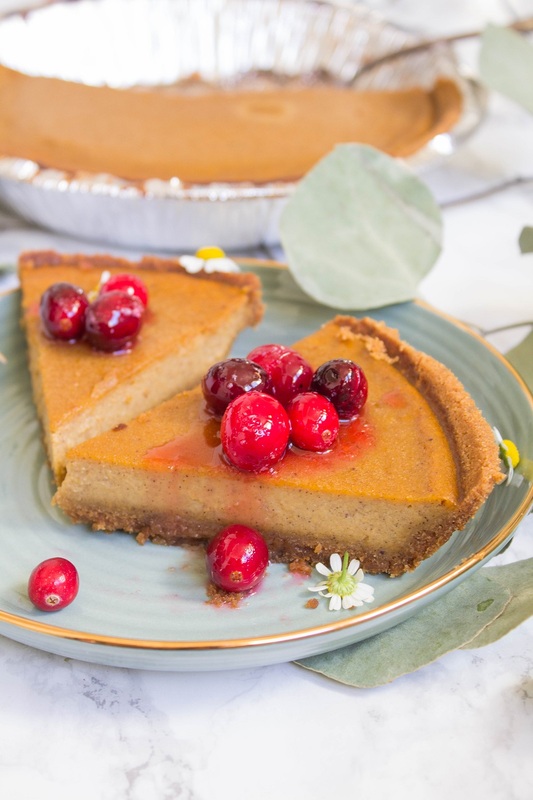 This Butternut Squash Pie is soo delicious and perfect for any gathering. I know it hasn’t been that long since Thanksgiving, but I’m already looking towards the winter holidays. As soon as it hits December, it’s all about baking desserts to give away and buying gifts for family and friends. And of course, there’s all those holiday parties and potlucks. I’m soo excited. What are you looking forward to the most this holiday season? I know when it comes to fall and winter pies, we tend to think of pumpkin pie and sweet potato pie, but I wanted to introduce to you something a little different. Today, I wanted to talk about butternut squash pie. I’ve always been a fan of butternut squash. It’s works both as an ingredient for sweet or savory dishes. They’re great in my pasta and in savory puff pastries. And now I can use it in my dessert too. 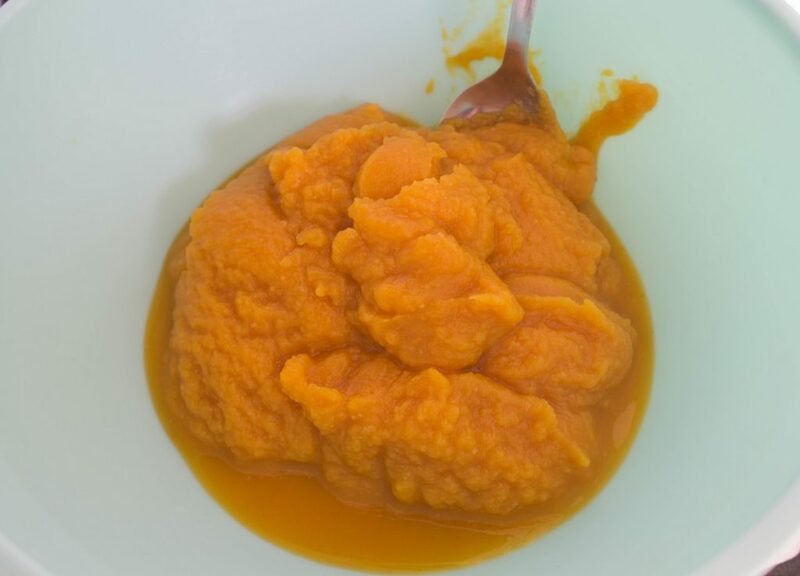 The butternut squash pie filling is similar to that of pumpkin and sweet potato pie. It’s rich and custard-like. It’s sweet and delicious. Baked in a gluten free crust, it’s the perfect dessert for pretty much everyone. For this pie, I used MI-DEL Graham Style Pie Crust. 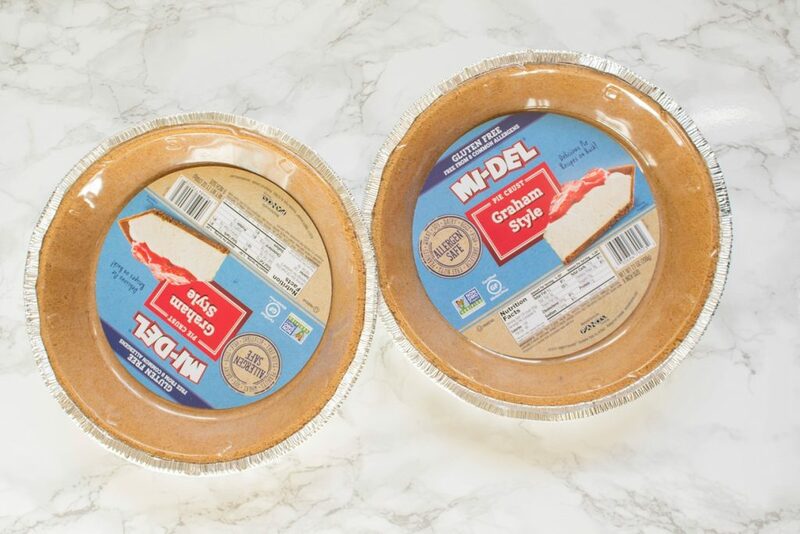 MI-DEL pie crusts can easily be found at Walmart. They’re gluten free certified and non-GMO project certified. Each of these pie crusts are free of peanuts, tree nuts, wheat, soy, dairy, eggs, fish and shellfish. So guys, this crust will work for anyone with common allergies. Plus, you can use them in both no bake and baked recipes. 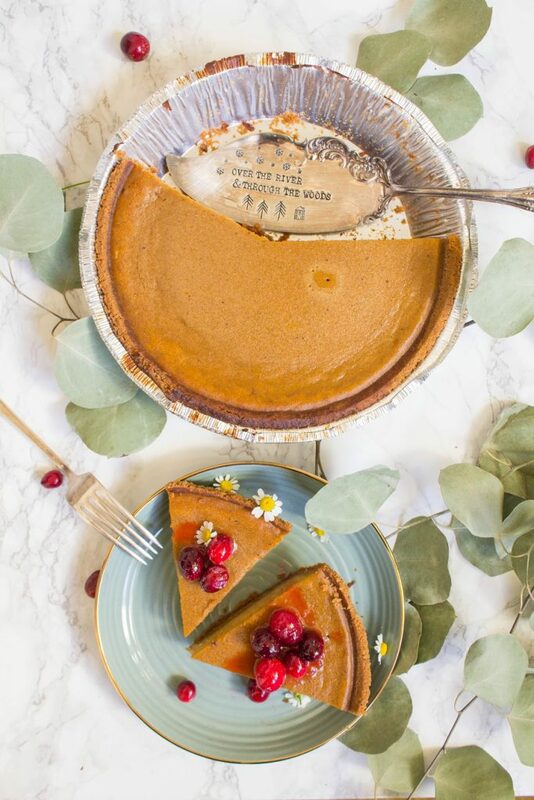 Each bite of this butternut squash pie is silky and rich. This pie is utterly satisfying, especially since this crust is 30 grams thicker than any other brand , meaning more taste and flavor in each bite. 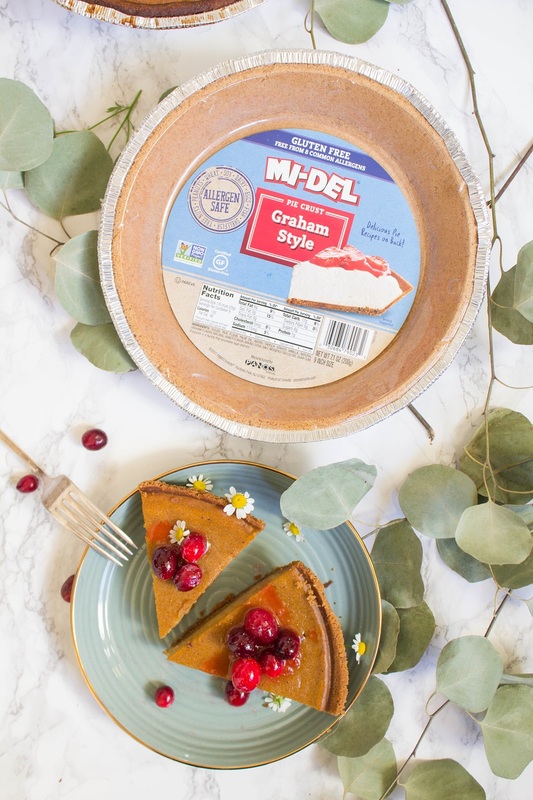 So if you’re a fan of graham cracker crust, this pie crust would be perfect for you, and you can use them all year round. To make this pie, you’ll just need several simple to find ingredients. 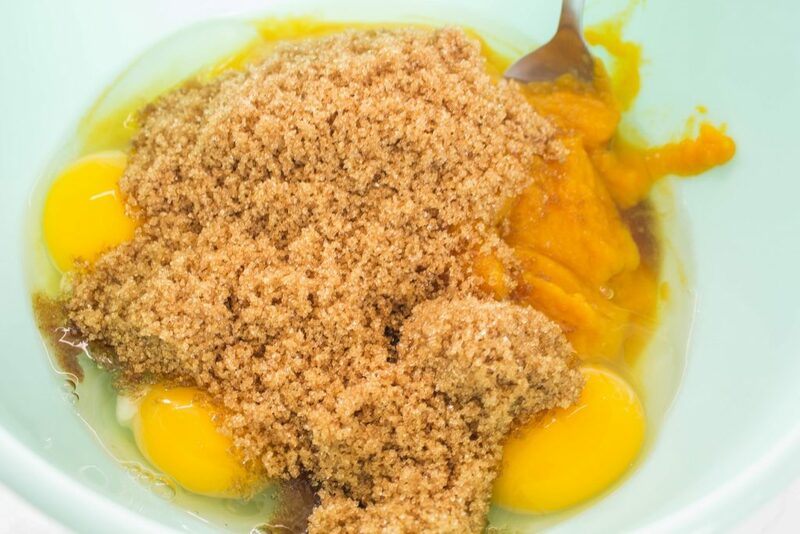 Mix these ingredients together in a single mixing bowl, pour over the graham cracker crust, and then bake. I absolutely love that this butternut squash pie requires just one mixing bowl. I’m not a fan of washing dishes, especially after all the cooking I do. And since the MI-DEL graham style pie crust comes in a tin, I’m all set there too. You can also make your pie more festive by drizzling a cranberry simple syrup over it. Just add water, sugar, and cranberries in a 1:1:1 ratio in a small pot and boil for a few minutes until the cranberries burst open. Allow the simple syrup to cool down before drizzling over your slice of pie. 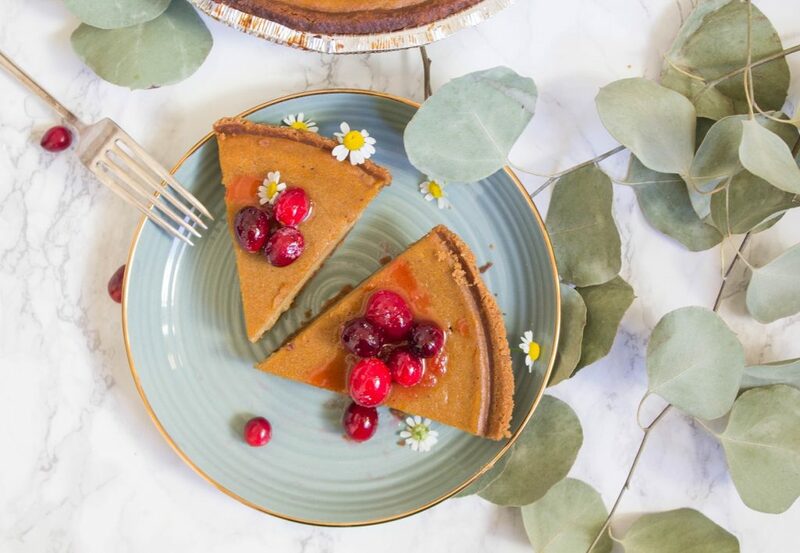 I’m so happy to have a dessert perfect for the holidays and that it’s simple enough to make that I won’t stress over it! Hopefully you will too. While the oven is preheating, make the pie filling. 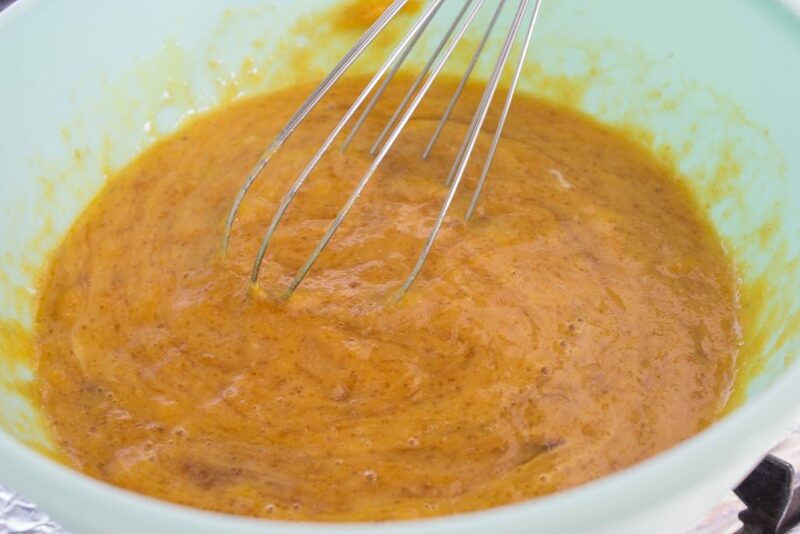 In a large mixing bowl, whisk together butternut squash, brown sugar and eggs until combined. 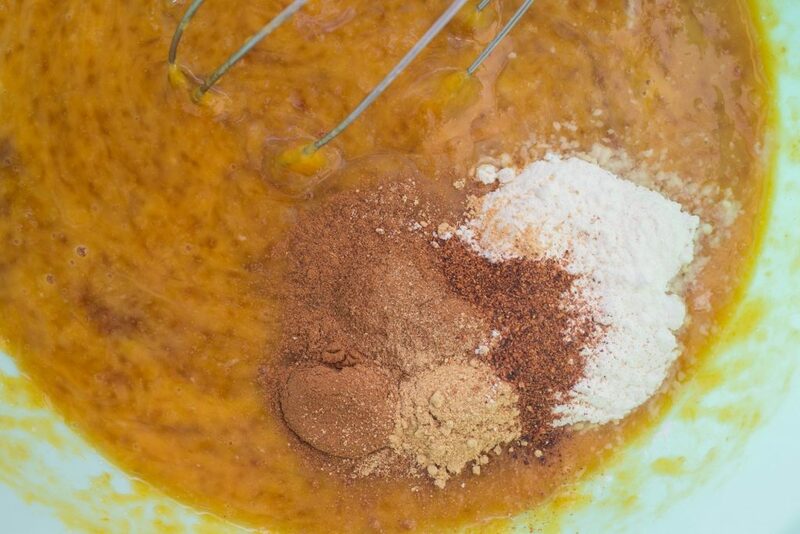 Next, add cornstarch, ground cinnamon, ground ginger, and ground nutmeg and mix until combined. Now, pour in the heavy cream and milk, then whisk until the filling has thickened. Pour the butternut squash pie filling into the MI-DEL graham style pie crust. You may have a little pie filling leftover. Place the butternut squash pie into the oven and bake for about 45-50 minutes until the filling is solid. 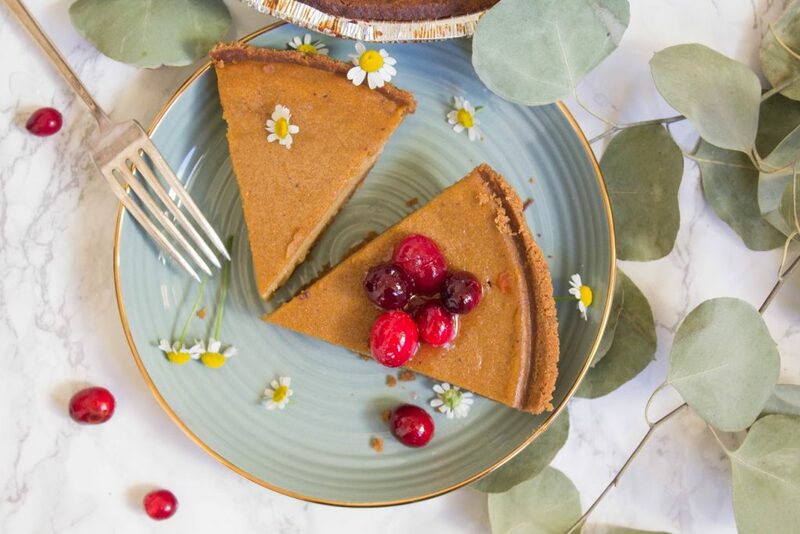 Use a toothpick to test the center of the pie. If the toothpick comes out clean, the pie is done. If not, bake for a few more minutes. When the butternut squash pie comes out, the center might puff up dome-like. Once the pie has cooled, it will shrink. Let the pie cool for an hour or two before serving. Serve the butternut squash pie with cranberry sauce and whipped cream as desired. Combine water, granulated sugar, and fresh cranberries in a small pot over low to medium heat. Cook the cranberries for a few minutes and stir once in awhile until the cranberries burst. Remove the pot from heat and let the simple syrup cool before serving over the pie. This entry was posted in Desserts, Fall Cravings, Gluten Free, Holidays, Pie, Quick and Easy, Recipes, Vegetarian and tagged butternut squash, dessert, fall recipes, gluten free, holidays, pie, quick and easy, sponsored post, Thanksgiving, vegetarian. I grow and love butternut squash. So I already know this recipe is going to be excellent. Many thanx for this recipe, Andrea. And have a wonderful holiday. This looks so good! I love butternut squash but never thought to put it in a pie! 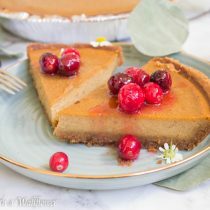 I usually make this https://sleeplesssweets.wordpress.com/2017/11/30/how-to-homemade-pumpkin-pie/ , feel free to check it out! I love butternut squash but I would not have thought to use it in pie! This looks delicious! I hope you’ll like it, Kate!